My name is Vladimir Popov, Chairman of the Association for Antique Reconstructions "Mos Maiorum Ulpiae Serdicae". I am the one of pioneers of Roman re-enactment in Bulgaria - in 2007 I was the first, who had started reconstruction of Roman legionary from period of Trajan's Dacian Wars. 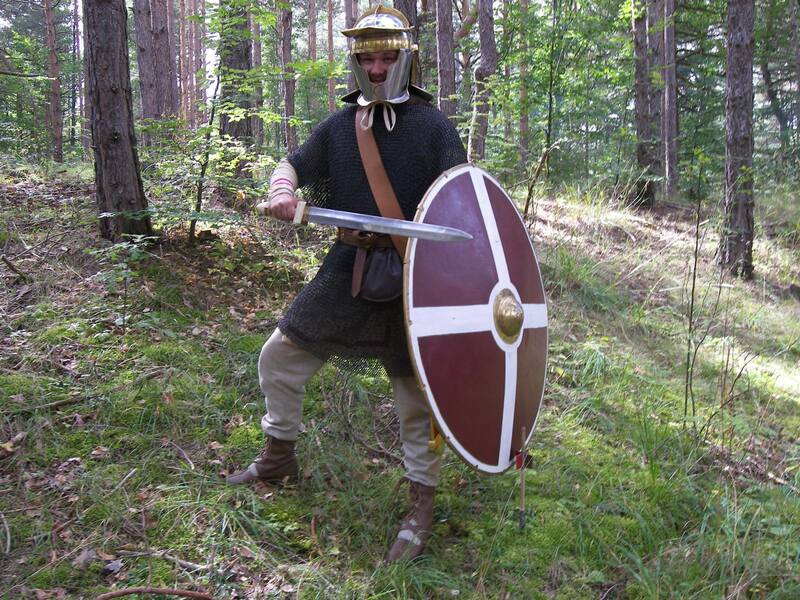 My interests are also Late Roman military equipment, and Roman medicine. 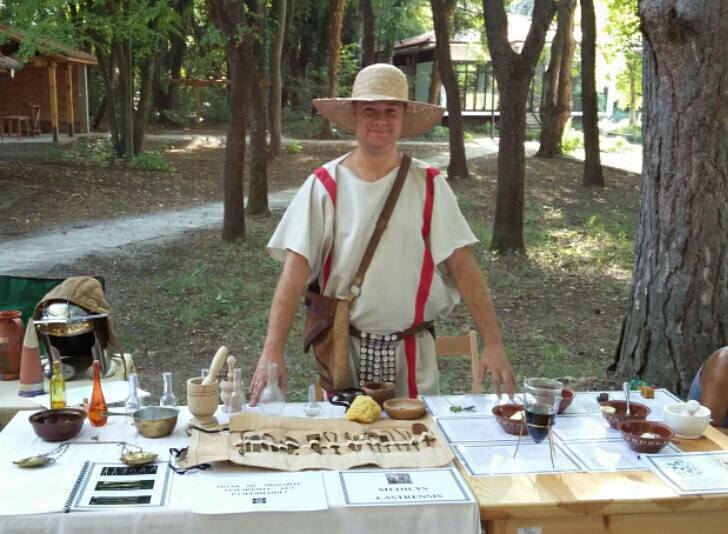 I am the first re-enactor in my country, who explore, recreate and study medicinal herbs and ways of treatment, described in the Ancient sources. I have extensive experience of participation with similar organizations in my country and abroad /in Italy, Romania, Hungary, Austria and Russia/. Also I have frequently organized and supported the re-enactment and Living History festivals in Sofia, Plovdiv, Kyustendil, Kabyle, Stara Zagora, Razgrad, Garmen and Nikyup. I have a very big experience in preparation and realization of various Antiquity events, which demonstrates the different elements of life - crafts, cuisine, medicine, entertainment and games, rituals, everyday items and more. On 08.06.2016 Me and my friends founded the Association for Antique Reconstructions "Mos Maiorum Ulpiae Serdicae" in Sofia. This is the first Roman reenactment group in Bulgaria, dedicated to representation and promotion of the Late Antiquity. 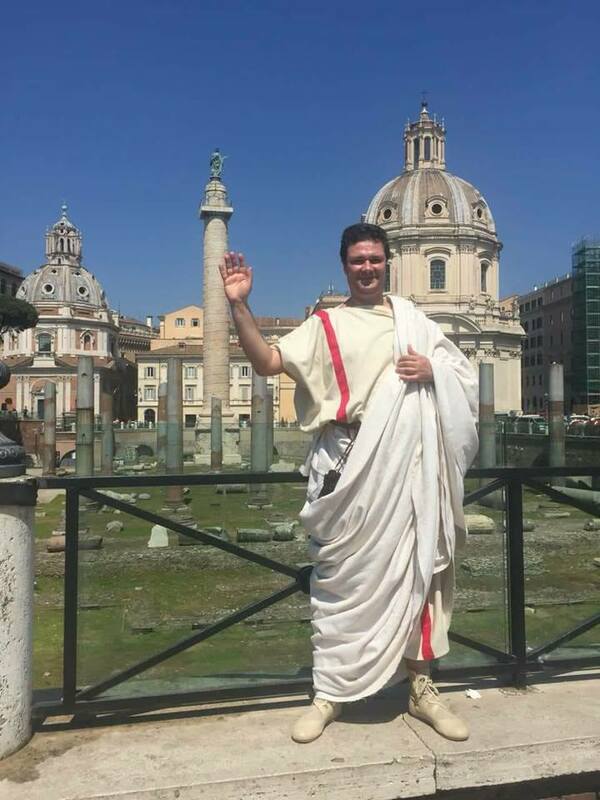 The group combines historical interests of our members and implementation of accurate reconstructions of Roman rituals, clothing, and weaponry. We are making our research, including exploration, study and analysis of Roman sources and gathering the information about life in the Antiquity. 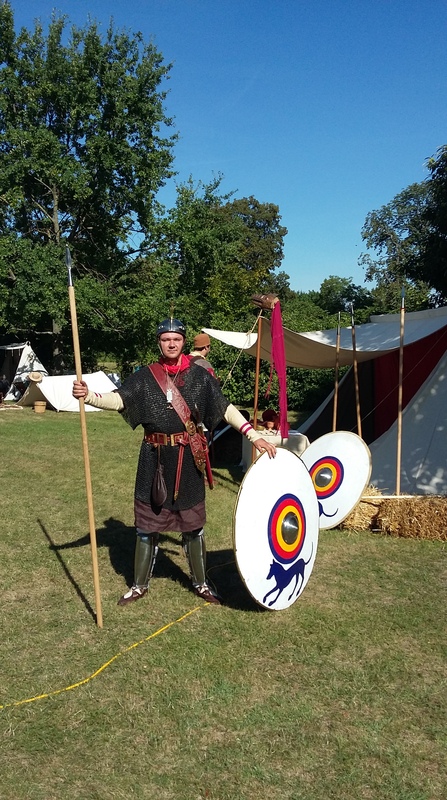 We create reconstructions of clothing and weapon items with authentic materials and perform their use as it was during the era. We are participating in meetings, forums, festivals, various museum events and celebrations, and more. The aim is to attract public attention to our hobby, to make the Ancient history more popular and to cultivate interest among the younger generation.